An Internet protocol address is what networks, computers, and other connected devices use to communicate over the Internet. For example, when you type in a web address, the network is actually talking to other networks using a unique, numerical IP address—turning pentaserver.com into the unique IP address, 173.203.44.122. Today, IPv4 is the dominant protocol in use, representing approximately 99% of all Internet traffic. IANA (Internet Assigned Numbers Authority) is responsible for the global coordination of IP addressing space. February 1, 2011 marked the official depletion of IANA’s pool of free IPv4 addresses. Its depletion leaves the Regional Internet Registries (RIRs), from whom Penta server receives IP addresses, with a finite number of pre-allocated blocks that many predict will run out soon. IPv4's replacement, IPv6, represents a new addressing family of around 340 undecillion addresses (enough to assign eight billion IP addresses to each atom in the bodies of the entire population of the world). IPv6 adoption represents an industry-wide challenge to upgrade systems to IPv6 compatibility. Penta server continues preparing for IPv6 and wants to make sure you have the information you need to develop an IPv6 action plan. How is Penta server preparing for IPv4 depletion? Why should I care about IPv6 readiness? After you do this, you can start building a list of required actions and scheduling time for the tasks you’ll need to perform to get IPv6-ready. 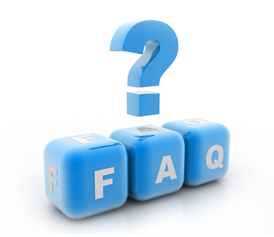 For more information, read our IPv6 FAQ document, or see www.ipv6.com. The cPanel is an end user account manager where you can administer and make changes to your account. You can create email accounts, add extra (add-on) domains to your hosting account, add mailing lists, etc..
http://yourdomain.com:2082/ or you can use the IP address in your Activation email (http://IP:2082/) or you will be prompted to enter your username and password before you log in. The main page of your cPanel includes the General account information table which you can check frequently to monitor your disk usage, bandwidth usage, and the other features provided with your hosting package. What is the FTP Manager? The FTP Manager allows you to create FTP accounts to grant access to specific subfolders of your account with separate usernames and passwords. The File Manager gives you many options. Here you can upload the files of your site, delete files, edit files, change the permissions (CHMOD) and many other features. What is the Web/FTP Stats? The Web/FTP Stats section has many features. You can view your Graphical Web Stats or check ANALOG stats. You can also check the error log, which can help in identifying errors in CGI scripts. Also in this menu are the canned cgi scripts. These are scripts which you can automatically installed into your account and run with no configuration. The Chat Room and Search Engine Submitter is also in this menu. Your SMTP server is mail.yourdomain.com. Your POP server is mail.yourdomain.com. You can create email accounts through your control panel. To get to your control panel at http://yourdomain.com:2082, click on Mail icon, click on Add/Remove accounts. Click on Add a new account. I forgot a password to an Email account. If you forgot a password to a regular Email account you can log into your control panel at http://yourdomain.com:2082 and go to the Mail Section. In that section go to Add/Remove accounts. There is a feature to change the password on the email account. As long as your Email program supports POP3 it should work with our system. If using Windows, we suggest Outlook or Outlook Express. What is the path to DATE? What is the path of my files? MySQL is the most popular Open Source SQL Database system. A database is a structured collection of data. MySQL allows you to quickly access, edit add to the database. You can create new databases in the MySQL screen of the cPanel located at http://your-domain.com:2082. First, you must create the actual database. You just need to enter a name for the database such as users. The database will be created as yourusername_users. Once done, you will need to create a username and password in the MySQL system. A username could be access. When created it will be yourusername_access. Thereafter, you need to add the user into the database using the Add User to DB button located in the MySQL screen. This is the final step of creating a MySQL database. No, users are not allowed to install their own versions of phpMyAdmin. Instead, we offer this program through the cPanel for you to use. PhpMyAdmin is at the bottom of the MySQL screen in the cPanel. You can use PhpMyAdmin to dump the contexts of a database to a *.sql file. You can also use PhpMyAdmin to restore a database from a *.sql file. An example of a sub-domain is http://stock.domain.com. When you create a sub-domain as stock.domain.com, it will point to the "stock" folder in your public_html directory. These are not forwarders, but true apache sub domains. How can I enable sub-domains? The feature of sub-domains is already enabled on your account. WWW does not work with my sub-domain, why? When you create a sub-domain you can only access it at http://sub.domain.com. You can not access it at http://www.sub.domain.com. We can set it for you manually to be working with www, you just need to submit a support request via our support page to let us do it for you, free of charge.